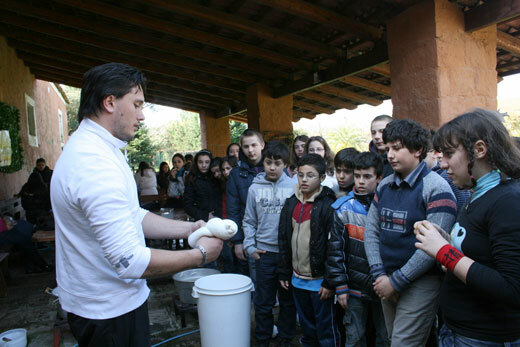 Our daily commitment for our land, animals and food communicates our vision: the care for life! With this principle in mind, we welcome our visitors. We take care of their time, we open the door of our world wishing to contribute, although in a modest way, to increase their awareness and respect of Mother Earth, animals and life. 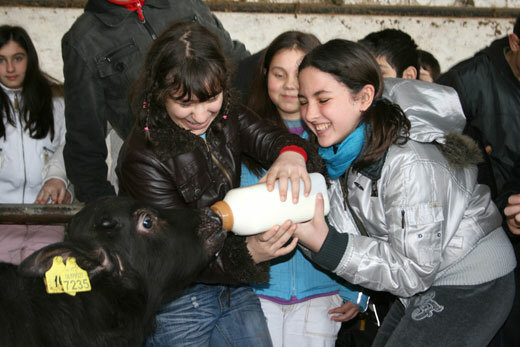 Entrance in a farm where wearing appropriate protections for shoes and patches, visitors can watch the bottle-feeding process of young calves with the possibility of actively participating by entering the cattle shed and give the bottle or watch the water buffalos milking or feeding phases. It is possible to visit water buffalos' pools in green fields. 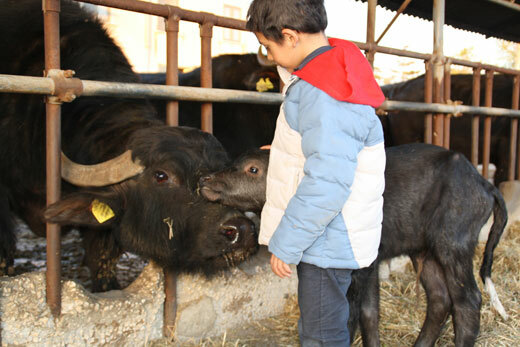 The visitor will be told about water buffalos, life in a farm, the importance of technology in the milking room and how Torre Lupara monitors the whole producing chain from the lands where fodder is grown to herd's manning until the transformation phase from milk into mozzarella cheese. Visitors will be told about methods and strategies adopted to make the farm eco-compatible and how citizen can contribute - through recycling - to help safe guarding and protecting the land if seen as a resource and fundamental element for life. 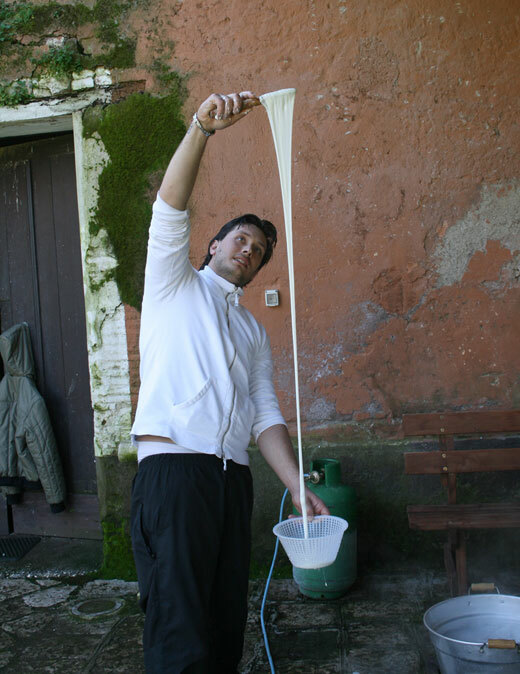 At the end of the tour, visitors will taste various types of mozzarella cheese, bocconcini (mozzarella tidbits), mozzarella cheese, smoked provola (soft cheese made from buffalo milk) and ricotta (soft white cheese). Cheese will be accompanied by bread baked in a wooden-burning oven, salad, tomatoes, water and wine (in plastic plates, glasses and cutlery). Finally, buffalo milk ice-cream will be served. Torre Lupara is open throughout the year. We recommend visits from March to Octorber. 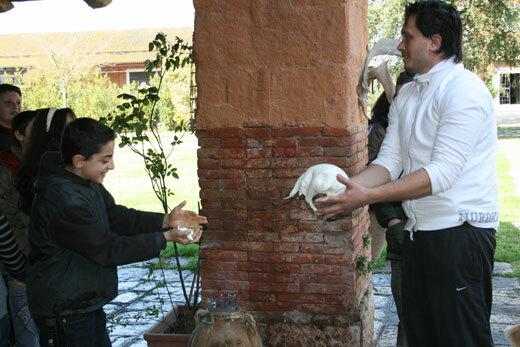 We also suggest to wear comfortable shoes (visitors will be provided with appropriate shoe-protections). 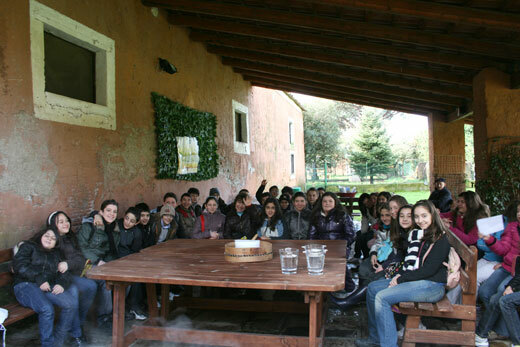 Do not forget hat and camera..
At the end of the tour, visitors will receive a colourful and instructive souvenir. The visit last two hours and a half. Go straight for about 5 km- the street ends at the farm.